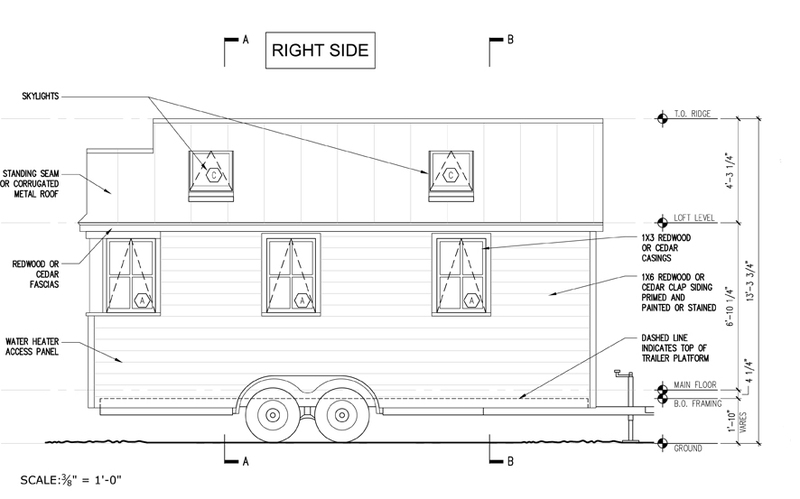 Our construction plans from Tumbleweed Tiny House Company did not only help our contractors to build the tiny house for us, it also gave us an idea of what goes into such a project. When we decided to purchase the blueprints we had already attended a workshop and our trailer was being manufactured, but we simply needed to know where to start. Below are two pages that will give you an idea of how these plans look. We modified the instructions to adjust them to our needs and wishes. Right Side of our house. LOVE, LOVE, LOVE those German windows–they are so practical and insanely efficient. Where did you find them? Thank you so much! 🙂 They are from a company called Intus. You can find a link to their website in our “Products and Services” section. 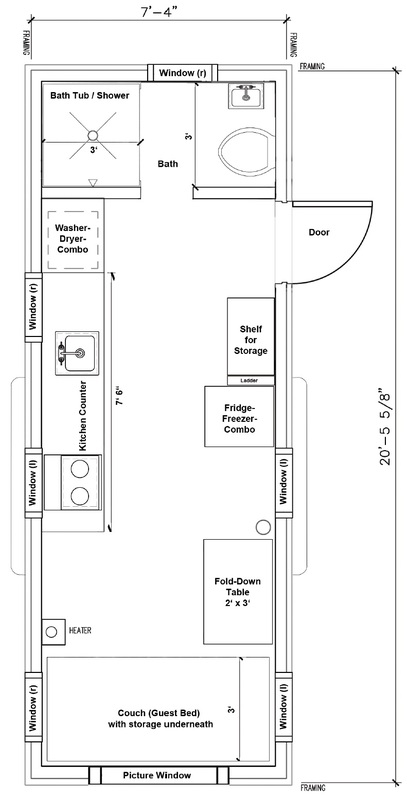 Can you share info on how to buy the stainless stove in your tiny house? That’s awesome that you’re interested in the stove! We got it from Unforgettable Fire. You will find a link to their website in our “Cost” section, or you can just google it. We know the founder personally – great guy! !